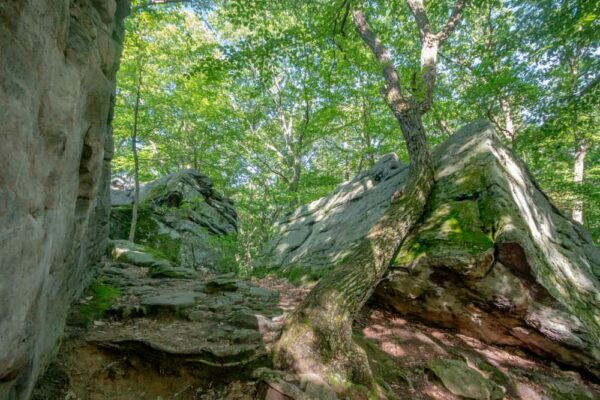 Located in northern Jefferson County’s Clear Creek State Forest, Beartown Rocks is one of the largest rock outcroppings in Pennsylvania. 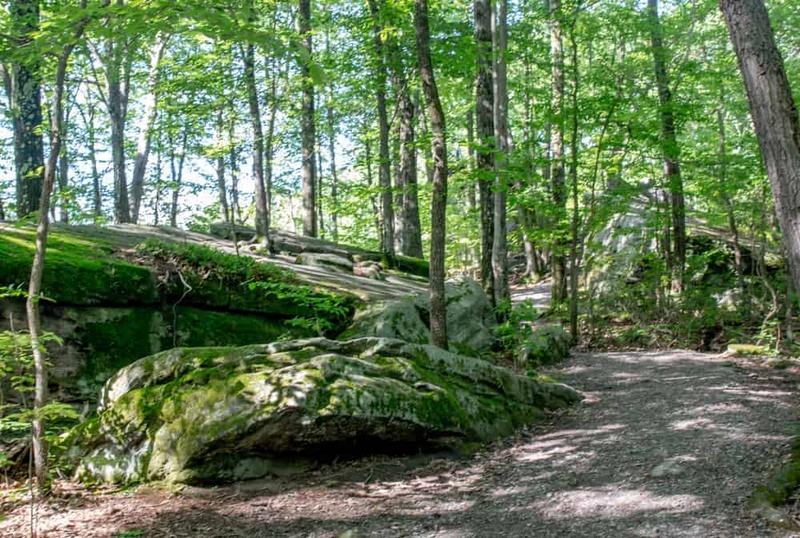 At Beartown Rocks, house-size boulders, up to 20 feet in height, are scattered throughout the woods, and it’s a ton of fun go exploring through the outcropping and looking at these massive rocks. 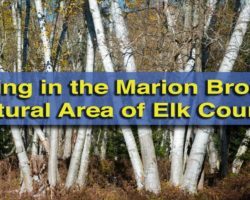 Even better, there is an observation area built atop one of the largest rocks that offers fantastic views of the Clarion River Valley. 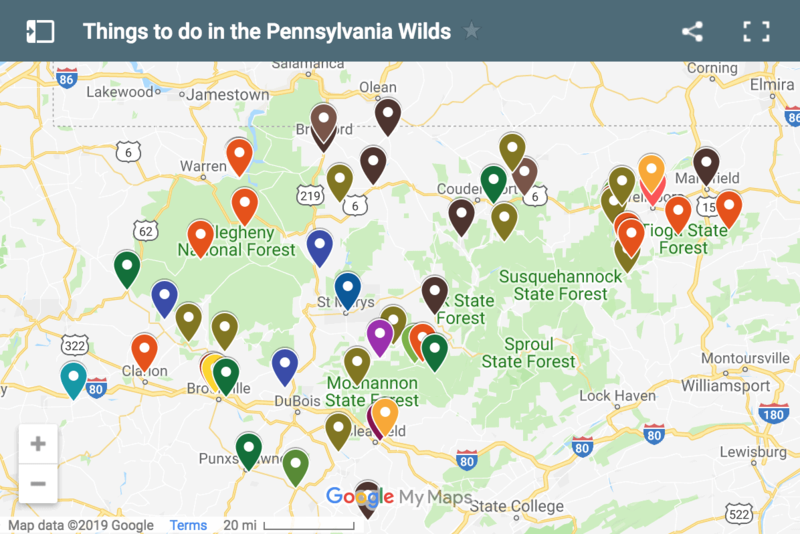 I’ve visited Beartown Rocks on two different occasions during my travels around Pennsylvania. 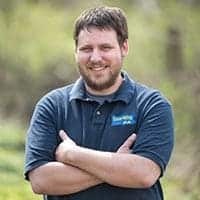 After my first visit, I was very impressed by this site, and my second visit proved that my first instincts were correct. There are a lot of fun spots to explore at Beartown Rocks. 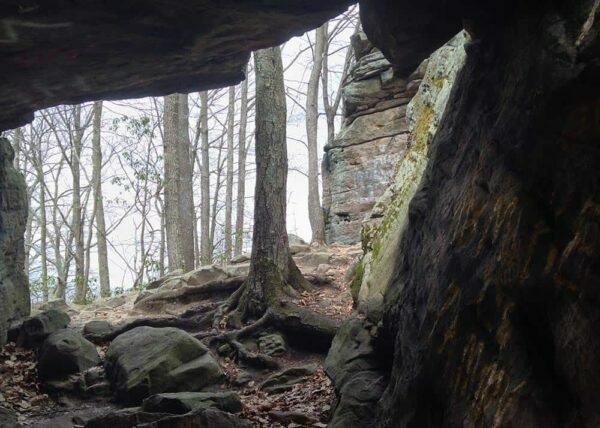 While they are quite isolated, Beartown Rocks is easily accessible by car, or you can opt to take a nearly two-mile hike to the outcropping. No matter which way you choose to get there, Beartown Rocks is a ton of fun to explore and makes a perfect compliment to the nearby Clear Creek State Park and Cook Forest State Park. 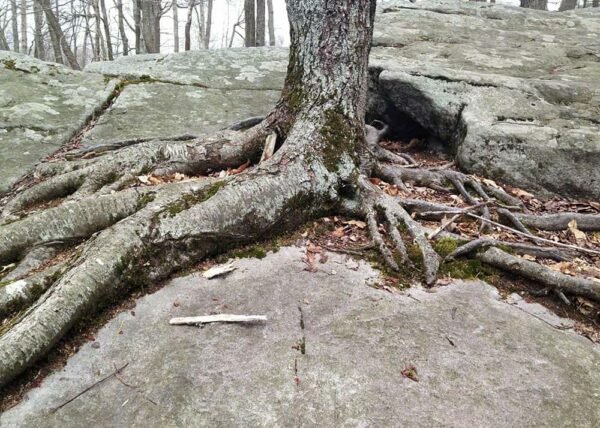 It’s very interesting to see how trees and plants have adapted to living around the rocks. This rock outcropping was created during the last glacial period. While glaciers didn’t reach this far south, the constant freezing and thawing of the rocks caused large cracks and separated these boulders from each other. 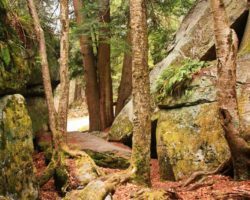 Walking through this outcropping is easy as a series of trails have been carved out between these widely-spaced rocks. Since no official trails exist here, aside from the trail to the outcropping, wondering around the outcropping feels more like an expedition than a casual walk through the woods. One of the rocks has a hole through it that’s nearly large enough to drive a car through. Because of this, make sure you save plenty of time for your visit here so that you can fully explore the area and not miss any of the highlights. One of my favorites spots is a large hole carved underneath a rock. It’s so large that you could probably almost drive a car through it. Some of the rocks have an interesting honeycombed pattern that has been worn into them. I also enjoyed looking at the unique honeycombed pattern found on some of the rocks. This weathering pattern is very interesting, and I can’t recall seeing it at other rock outcroppings around the state. Other than simply walking amongst the rocks, the main highlight of any visit to Beartown Rocks is the view. A set of wooden stairs has been built to create a great lookout. In the middle of the outcropping, a set of wooden stairs has been constructed to create a viewing platform atop of the largest rocks here. 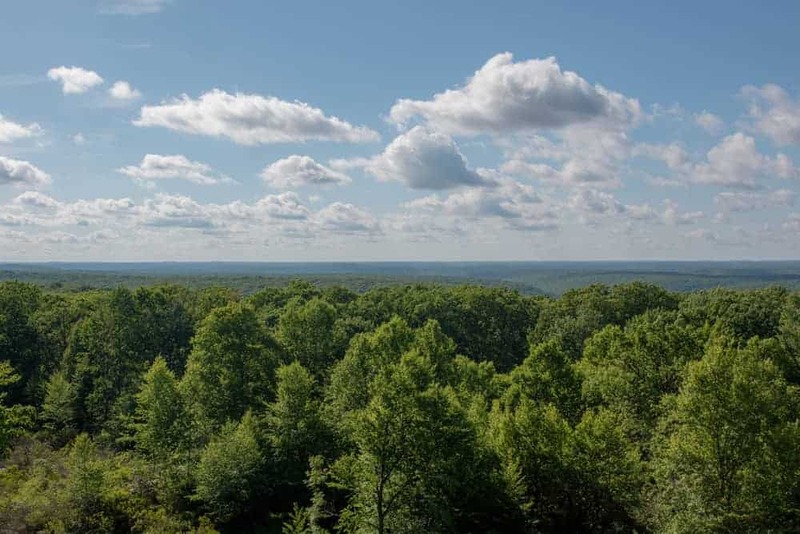 From the top of this large rock, you can see for miles and miles along the forested valley surrounding the Clarion River in the Pennsylvania Wilds. This is truly a spectacular view and shouldn’t be missed if you are in the area. While walking around Beartown Rocks is a ton of fun, it should be noted that climbing here is not allowed. Several people have been seriously injured here in recent years, so please stay off of the rocks and enjoy them from below. The incredible view from the vista at Beartown Rocks. 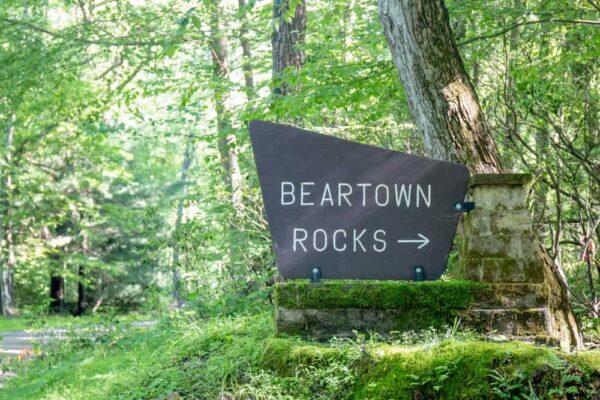 Without a doubt, Beartown Rocks is one of the most beautiful and unique spots in Jefferson County, Pennsylvania. 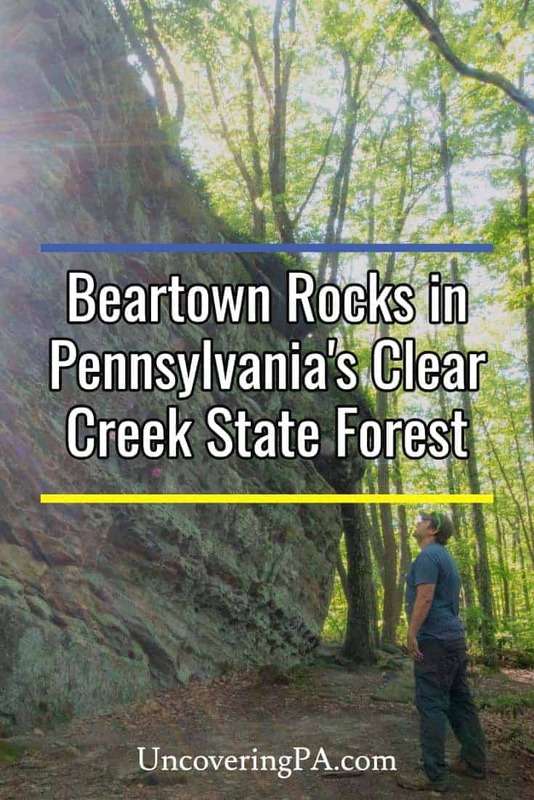 If you love spots like nearby Bilger’s Rocks or Devil’s Den on the Gettysburg Battlefield, don’t miss this fantastic rock outcropping in western PA.
Beartown Rocks is located in Clear Creek State Park in northern Jefferson County, PA. When visiting, you can opt to hike to the rocks or to drive within feet of them. If you drive to the outcropping, the rocks are located along Corbett Road, a very well maintained dirt road through the state forest. 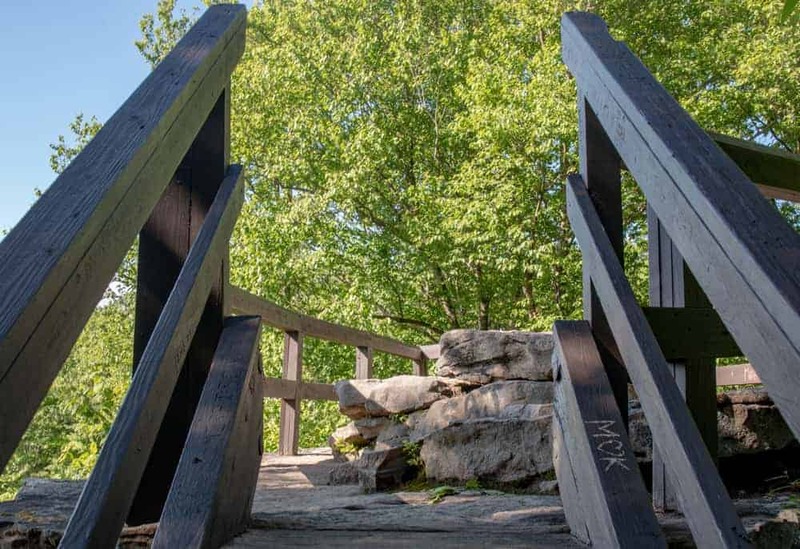 The rocks can be approached from either the north or the south, but I highly recommend also checking out nearby Clear Creek State Park either before or after your visit by heading north along Corbett Road. Look for this sign that marks the turnoff for Beartown Rocks. The parking area for Beartown Rocks is located on a short spur off the main road and is marked by a sign. Parking can be found at the following coordinates: 41.301241, -79.058075. From the parking lot, simply follow the well-worn trail into the outcropping. 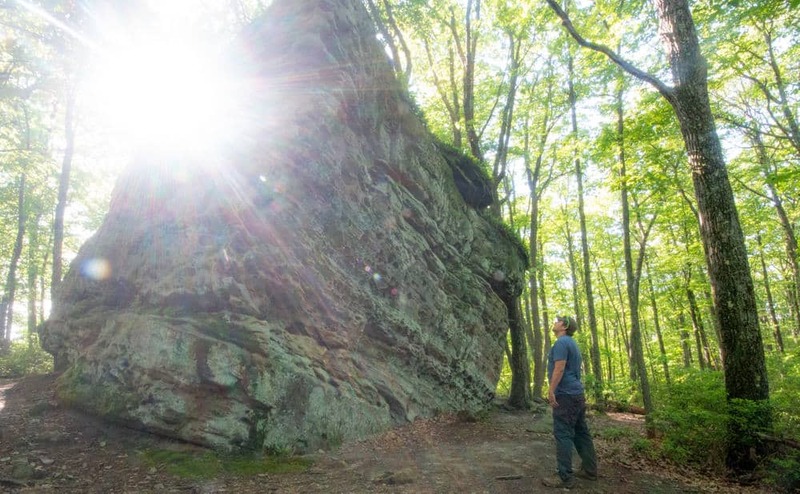 If you’d rather hike to Beartown Rocks (or would like to go for a hike after you visit). There is a roughly 3.8-mile out-and-back trail that leads from Route 949 near the entrance to Clear Creek State Park to Beartown Rocks. A trail through Beartown Rocks. I’ve never personally hiked this trail, but there is a bit of elevation gain, though nothing that should be too challenging. 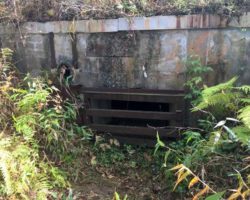 This trail starts near the intersection of Route 949 and Corbett Road at approximately these coordinates: 41.321329, -79.077625. The closest parking is likely at the state park or state forest offices nearby. If you’d like to hike after driving to Beartown Rocks, a roughly three-mile loop hike could be completed by incorporating both the Beartown Trail and the Trap Run Trail, which can be found on the state forest map. 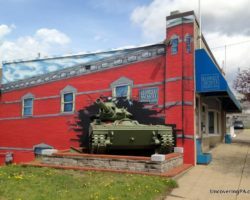 Looking for more to do near Beartown Rocks? 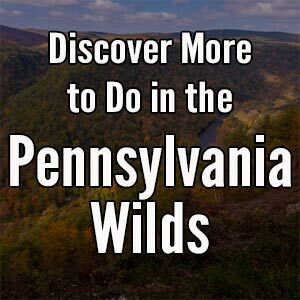 Check out Cook Forest State Park, wineries in the Pennsylvania Wilds, and Scripture Rocks County Park. The Beartown Rock formations remind me of the rock formations at the Church Camp I attended some 60 years ago. 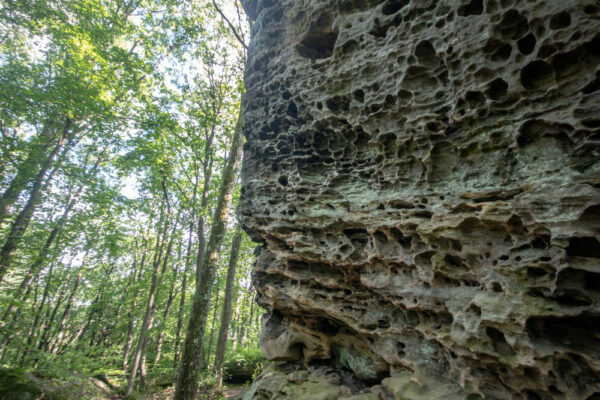 These formations were at Camp Sequinota near Jennerstown, PA. One activity conducted in groups were nature walks and one of their trails went into this extensive rock formation. On one rock face was the skeletal image of an ancient fish that one had to have either a sharp eye or have it pointed out to them. On one hike, we followed a dirt road that had been recently scraped for the natural gas drilling efforts in the area. I found a flat rock about the size of a small meat platter that had a salamander-like fossil on one surface. I carted it home. It went missing when my family moved to another city. It’s also worth noting that inside the cave that exists near the stairs to the overlook (4th image in this article) is a very old inscription from the late 1800’s carved into the rock wall. If you’re standing in the cave facing the overlook, it’s on the left wall, lower portion (about 2 feet or so from the ground). It reads, “Corbett 18XX” (can’t remember exact date) and it’s carved in script if I remember correctly. When I was a child in the 70’s it was very visible as it’s fairly large (about 10- 12″ across). But over the years graffiti, spray paint, etc. have made it harder to spot. But if you look closely – it’s there.